Six degrees of separation – Okay, so maybe you don’t know someone who knows someone who knows Kevin Bacon…but there is something to this theory. You probably do know someone or someone who knows someone who is doing your dream job or has knowledge about how it. Offer to take them to coffee or lunch. Ask them questions. Your best bet for gaining crucial knowledge of a career is to talk to someone who is already doing it, and doing it well. What do they love about their job? What don’t they love? They will be a wealth of information, and finding out important information ahead of time can save you time and energy in reaching your goal. The power of networking is especially huge if you are changing fields entirely. You have a better chance of finding an “in” to a different field if someone knows you and can vouch for you. You need to get your foot in the door before you can convince someone how your skills translate to that area. Research – if you’re reading this article then you have an understanding of how to use the internet to find information…and you know that Googling is a verb. 😉 There is so much available online – just use a search engine to explore a specific career field and you can find things from salary information to success stories of people in that field. Volunteer or Intern – Many times, you can gain enormous insight into a possible career by volunteering a few hours a week. Non-profit organizations, hospitals, and shelters are just a few examples of places that use volunteers. Many other businesses offer internships (some unpaid, some paid) to those who want to break into a field. If a place doesn’t offer either of these, you can always offer yourself as an unpaid intern or volunteer– the worst they can say is no. Take classes – your new career field might require additional learning or certification. Some of these courses might be online which makes it easier for those working a full-time job. I’ve had clients do everything online from learning computer coding to obtaining their real estate license. Another bonus of doing this while remaining at your current job is that depending on the type of classes, some or all of the tuition may be reimbursed by your employer. You can check with your HR department ahead of time. Moonlight – unless your current career forbids this, you can start doing your new career on the side to see how you like it. Especially if your new venture involves self-employment, starting it out on the side allows you to keep the financial stability of your current job while going through the growing pains of a starting a new business. Do you feel ready for a career change but want more help? Contact Dr. Helvig today for a free consultation to see if career coaching would benefit you at drhelvig (at) yahoo.com. Feeling stuck in your job? Read my client’s story below and see if you can relate, then contact me for your FREE career coaching consultation today! For her, that breaking point seemed an unlikely one—she had been given a promotion with more responsibilities, a fancier job title, and more money. One of those responsibilities involved her supervising others, and she quickly discovered it was not a task she enjoyed, stating, “I don’t want to babysit other adults.” She struggled with the fact that she knew others would consider her lucky and envy her “success,” but in truth, she felt miserable and knew in her gut that something needed to change. Due to the divorce, and wanting to be self-reliant, Abby had been diligent about saving her money and after assessing her financial needs, she concluded she did not need to make the same amount of money she had been making in her corporate job in order to thrive. After completing several assessments and assignments, as well as introducing mindfulness concepts such as meditation, Abby discovered her true career passion where she felt she could really make a difference in an area that reflected her personal values. We laid out a step-by-step plan for Abby to transition to her new desired line of work. Abby expressed regret that she had waited so long before making the change, but I told her that I’ve worked with clients who were in their mid-60’s and that it’s never too late to change your life for the better. Abby ended up in a meaningful and rewarding job that lined up with her values and brought in a higher salary than she had anticipated. She commented at the end of our work that “everyone should hire a coach,” but in truth, it’s not for everyone. Many people go through their life, living it according to the expectations of others, whether it be parents, spouses, or friends. They go through the motions, achieving the commonly accepted versions of success in our society, even if there is an emptiness inside that they can’t identify. All personal growth happens outside of one’s comfort zone, and it takes a brave person to make themselves uncomfortable on purpose. 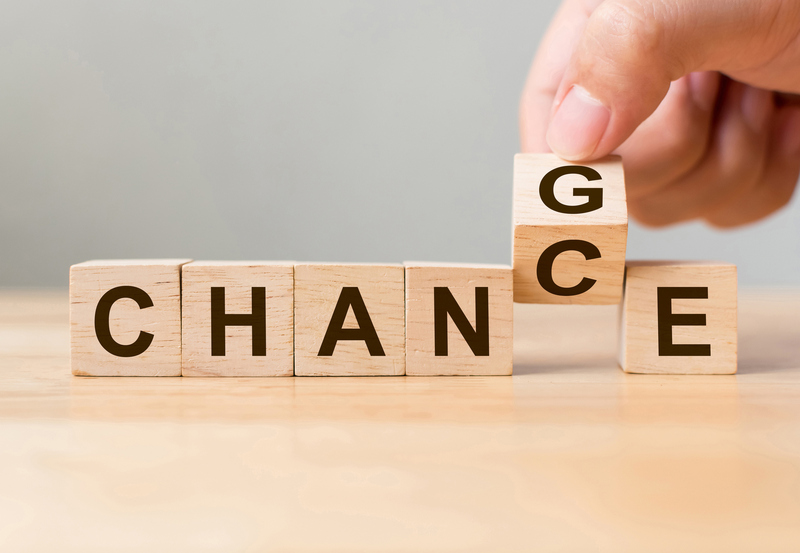 While some of my clients were made uncomfortable by outside circumstances, such as getting laid off due to down-sizing, most of my clients have decided on their own to make big changes. If you aren’t waking up every day excited for your job, or if you feel you aren’t thriving and that something is missing, then coaching might be for you. As a Ph.D. licensed clinical psychologist and certified professional coach, one of the favorite services I provide in my practice is career coaching. Some clients come to me because their job is no longer a fit for them, and common phrases I hear are “I can’t stand one more day of corporate” or some variation of “this job is sucking the life out of me.” Reasons for staying in the job are often due to stability, financial gain, and many times, fear of the unknown. There’s something to the saying, “The devil you know is better than the one you don’t,” so people sometimes stay in unsatisfying jobs, relationships, etc. due to the belief that “it could always be worse.” That is surviving, rather than thriving, and my goal is for people to thrive in every aspect of their life. Some clients who see me already know exactly what they want, which ranges from starting their own business to getting into real estate. I’d estimate those clients are about 40% of my clientele. More often than not, I hear some variation of “Help, I’m [insert age] and I still don’t know what I want to be when I grow up.” They know they want to do something different, but aren’t sure what exactly that is. Some fell into jobs based on opportunity, parental or familial expectations, or preconceived notions rather than identifying what they wanted to do with their life. They operated more from a “should” versus “want” mindset. So many of our challenges in life are mental, rather than physical, and it’s so rewarding to see people move out of their comfort zones by changing how they think, and then experience personal growth. Coaching in these cases starts with clarifying the individuals’ strengths and passions. I often use a combination of personality and career inventory assessments with clients, as they help to identify potential ideal jobs based on a combination of personality traits (e.g. introvert versus extrovert), and job skills and interests. 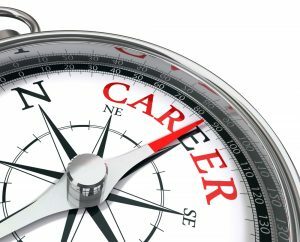 However, even if you’re not working with a career coach, there are still steps you can take to help you clarify your next career move. I recommend starting with what you’re passionate about, but what if you’re not sure where your passion lies? 1. What are your hobbies? When do you feel so involved in something that you lose track of time? The definition of a hobby is: an activity done regularly in one’s leisure time for pleasure. It’s something done due to the love of doing it, rather than a secondary gain. Some potential responses might be: when I’m gardening, skiing, rock climbing, reading, woodworking, playing with my children, or fixing a car. You get the idea but feel free to brainstorm here – you will probably come up with more than one answer, which is great. I’ll share my own personal story here too: I write sci-fi and fantasy novels for fun. When I started several years ago, it was purely for the love of doing it and I had no idea anything would come of it. Fast forward several years, and I have several published sci-fi novels through a New York publisher and am a regular speaker at Comic Con. My novel writing is different now, because it’s part of my business, which I love, but turning a hobby into a business isn’t for everyone. 2. What skills do you have that you feel set you apart from others? This could be having an amazing aptitude with numbers or being someone who easily makes new friends. If this question is hard for you, think about the last time you got a compliment. Has someone told you that you’re an outside the box thinker, creative, a great cook or that they admire your homemade curtains? Did someone ask you where you got that awesome table or bookcase only to find out that you made it? NOTE: Don’t discount a skill based on not liking an aspect of it. For instance, if you are great with numbers, but didn’t enjoy being an accountant, it doesn’t mean there isn’t another great fit for you involving numbers. When you feel really happy like it almost feels real to you (and you’re smiling), then you’ve succeeded and have tricked your brain, so now you can open your eyes. Jot down everything you loved about this visualization. I’ll do another post soon about the power of visualization exercises and research about how they impact the brain. One powerful exercise I do as a follow-up with my clients is to examine how close or how far this ideal day is from their current work experience. 4. When you surf the internet, read books, or browse magazines, what are you drawn toward? Do you love going to travel sites, or do you prefer reading current news or the latest thriller, romance, or military novel? Clarifying your interests helps you to identify your passions. 5. What would you be doing right now if money were no object? What would you be doing if money did not matter at all to you? Even if your first inclination is to say “nothing,” think past that honeymoon period of sitting on the couch playing PS4 or binge-watching Game of Thrones. People thrive when they feel they are living up to their full potential. Would you start your own charitable foundation? Your own business? Would you travel the world and experience new cultures? Move closer to family or loved ones? Now, go back through all of your responses and read them again. Highlight or circle any common themes, words, or ideas. These repetitions give clues as to potential career ideas. Keep in mind that there is usually not one perfect job out there for you (just like there’s not one perfect partner), so you’re just opening yourself up to possibilities at this point. Hopefully, this has given you some food for thought in your journey toward a new career. Next time, I will go over some of the incredible power of visualization exercises in your career (whether you want to change careers or simply move to the next level in your current career).